The LG 55EA8800 is a special kind of OLED that aims to take advantage of the beauty of the screen. LG deems this the Gallery OLED. The name comes from the frame around the screen that doubles as a speaker. This one lacks the 4K resolution and the curved screen, but we don't really see those things as a fault. A 55-inch 1080p OLED screen is capable of producing beautiful images, especially with the right source material. Pricing for this elegant TV starts at around $5,500. Considering the $10K+ price tags we were seeing on last year's OLED's, the prices are dropping fast on this technology. As far as flat OLED TVs for 2014, this is a great option. It is important to note that this is a Wall-mount Only TV. OLEDs produce their own light. That means black levels are top notch in this TV, just like plasma display technology. The EA8800's picture is not affected by viewing angle or ambient brightness either. Contrast and color deterioration are basically non-existent due to the RGBW display LG uses in this set. This is the 4-color system highlighted in the features list on this model. The problem of motion judder is addressed in this OLED TV as well. The EA8800 features a native 120Hz refresh rate that does a great job of smoothing out any fast motion. A huge plus for live sports programming and scenes with fast action or panning camera movement. As if the almost perfect picture quality does not create a desire in you to posses this TV, LG has loaded the EA8800 with all of its top-tier features to make it irresistible. The TV is 3D ready with LG's Cinema 3D technology. This is passive 3D, which means glasses will be much less expensive and there is no need to worry about keeping glasses charged. 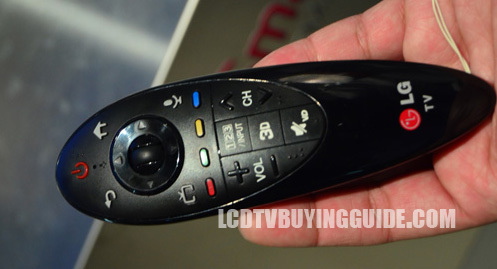 If Simple is the name of the game on the WebOS smart TVs, the 55EA8800 is just plain easy to use. We were a bit surprised that LG decided to leave the WebOS features off this one. Instead of the flashy WebOS menu system, LG has provided a very streamlined Smart TV experience with a focus on things users actually want to use: Streaming Video. You get access to the premium video on demand services like Netflix, Hulu, Youtube, and many more. Since LG has cut so much from the Smart TV platform, performance is going to be better than what we have seen in the past. Buffering issues surely aren't completely gone, but a lot depends on the speed of the internet getting to the TV. If you are thinking a robust Smart TV platform will just gather virtual dust, this might be the right way to go. Plus it will save you a bit of cash. LG is always pushing the limits when it comes to on-board sound quality. The frame of this gallery model cleverly hides 100 watts of speaker power in a 2.2 channel configuration all around the display. That's really impressive. It sounds impressive too! Since minimalism is key with this OLED, the need for a home theater system is greatly reduced with the impressive speaker performance. 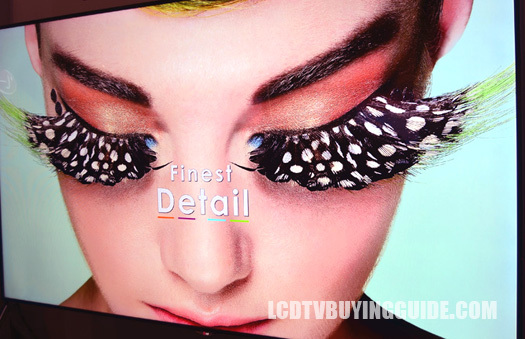 The gallery aspect of this slick OLED TV should be pretty obvious. The screen is the painting and the speakers frame it. Most importantly, this is a wall-mount only TV. The screen has a super slim depth of about one inch and there are almost no bezels surrounding the display. The speaker frame is a bit wider and silver in color. This is a gorgeous looking TV that will add great aesthetic value to whatever room it is placed in. Like any rising technology, the EA8800 has a bit of a steep price. This OLED starts at around $5,500. 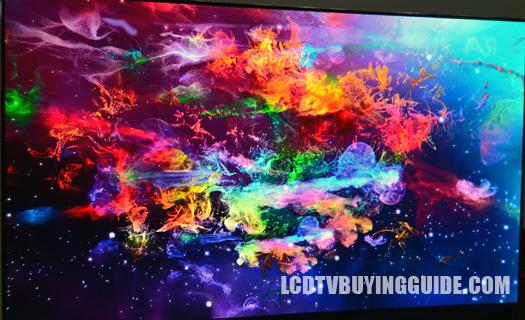 Last year's LG OLED can be had for around $500 less while similar sized 4K LEDs can be had for much less. 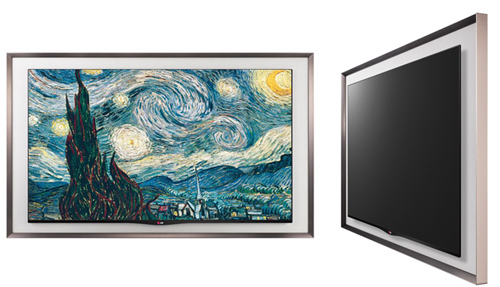 LG's 55UB8500 and the Samsung UN55H8550 come to mind as flat screen contenders. The price does get the best picture quality on the market and a fantastic sound system built right into the TV. Screen Dimensions: 48.43" x 28.15" x 1"
Dimensions including Frame: 56.30" x 34.06" x 2.52"